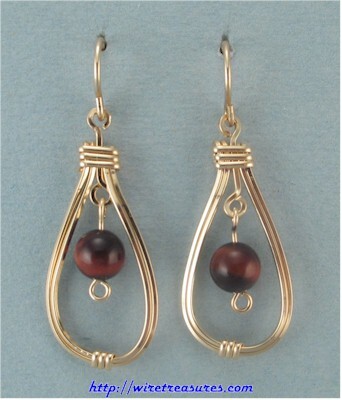 These simple earrings remind me of old fashioned school bells. The 6mm Tiger Eye Jasper beads hang down like bell clappers. Full disclosure requires me to tell you that they do NOT ring, but they'll still make some noise when you wear them! You are visitor number 5,220 to this page.